Qtum (QTUM) is an open sourced platform backed by blockchain technology. Its primary focus is on decentralized apps (dApps). Qtum (QTUM) platform facilitates both value transfers and enforcement of smart contracts. Qtum coins also work as hybrid coins. Qtum coin (QTUM) relies on the PoS (Proof-of-Stake) platform and Decentralized Governance Protocol (DGP). 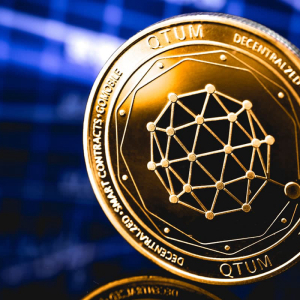 This protocol helps […]The post Qtum (QTUM) Price Analysis: Qtum’s Price Correction is Temporary; Will Yield Much Mass on the Longer Term appeared first on CryptoNewsZ. "Was engaged for a year and just blew it off. I’d lasted until 44 to succumb to marriage but as soon as I’d become engaged I stated having panic attacks about all the boredom and possible ruin that awaited me . Blew it all off two weeks ago and the minute I ended it I instantly felt myself again . Screw that death sentence!"